Our product was especially designed to satisfy the needs of pilots. 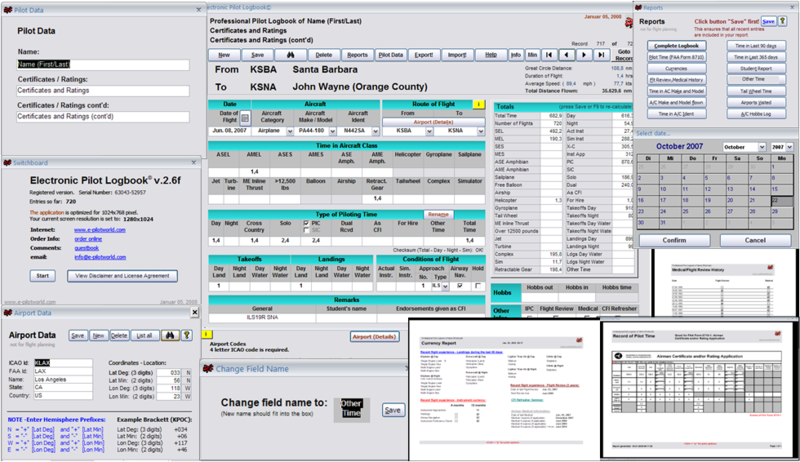 This Electronic Pilot Logbook was programmed by pilots, who were extremely dissatisfied with commonly sold log software. The tested products were either not very user-friendly or customizeable to fit specific requirements. This in conjunction with a high price tag necessitated the development of a new log application. Here it is. Let our award winning product convince you - take a "virtual product tour" and see for yourself.. Useful links to current FARs, ADs, ACs, FAA forms, Search for Pilots, Medical Examiners, A&P Mechanics, Aircraft Registrations, current TFRs and more.. click "Links".